Iberia Parish Sheriff Louis Ackal and Lieutenant Colonel Gerald Savoy were charged today with civil rights violations. 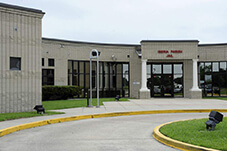 Charges stem from the April 29, 2011 beatings of five pre-trail detainees at the Iberia Parish Jail. Ackal and Savoy are the most recent and highest ranking members of the Iberia Parish Sheriff’s Office to be linked to the inmate assault. The incident started out as a contraband sweep of the jail. It resulted in the detainees being taken to the jail chapel, where there is no video surveillance, and beaten by the officers with fists and batons. Sheriff Ackal, promised to bring reform and professionalism to the Sheriff’s office when he was running for office. He is being charged with one count of conspiracy against rights. Additionally, two counts of deprivation of rights under color of law. Lieutenant Colonel Savoy is charged with one count of conspiracy against rights and one count of deprivation of rights under color of law. The Iberia Parish Sheriff and jail has been at the center of a lot of controversy. Lots of accusations have been leveled at law enforcement. There have been calls for the Sheriff to step down. Since Ackal took office in 2008, ten deaths have occurred while in police custody. If convicted, they face a maximum sentence of 10 years in prison for each of the civil rights violations. As well as a potential $250,000 fine for each count. As the victim of police misconduct, you need an attorney. Call the Law Offices of L. Clayton Burgess to schedule a FREE consultation. Our attorneys have extensive experience representing clients victimized by abusive law enforcement officials. Don’t Delay, Call Clay!